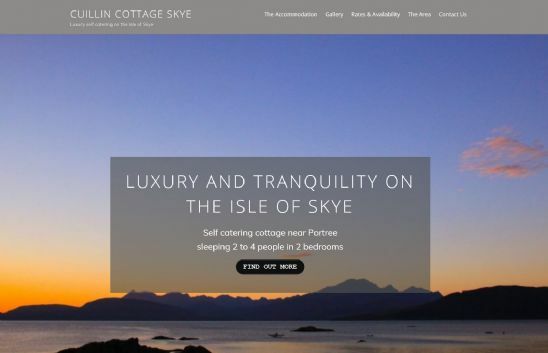 Cuillin Cottage Skye is a luxury self catering cottage near Portree on the Isle of Skye. Set in a beautiful location on the west coast of Scotland you can explore Skye and perhaps further afield. The website is being used to advertise the cottage, with details about the accommodation, tariff and a gallery of images so that you can see the property before you book. There's also a section on the website giving details about the local area. What better to mark your location on the internet, than with a dotscot domain name?